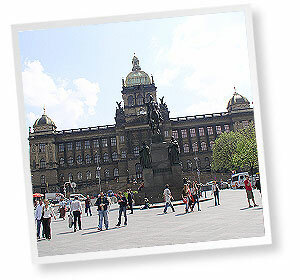 The tour starts on the Republic Square. 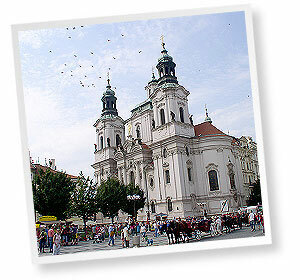 We will show you the historic center of the capital. 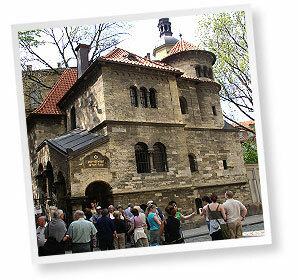 From the Powder Tower we will walk along the Royal Route to the Old Town Square. Our walk will continue along Karlova street to Charles Bridge (from here we can offer you a magical view of the Prague Castle). Finally our guide will take you to the downtown brewery where a typical Czech dinner and beer (wine or soft drinks) will be served. The guided tour ends after 1,5 hours but you are free to stay in the brewery till late evening. END OF THIS TOUR IS IN THE BREWERY IN DOWNTOWN.